It's sometimes said that Hong Kongers are more interested in reading balance sheets than love letters. Say it ain't so! This is a city that works hard and plays hard too, and play includes some time for romance. The city's hoteliers are well aware of this, and go out of their way to set the right mood, be it stacking the bath with champagne bottles, folding the towels into a pair of doves (really) or serving dinner in a discreet candle-lit alcove of a popular restaurant. 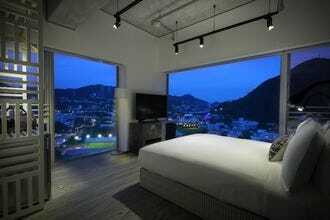 There are hotels to suit all romantic tastes in Hong Kong. The Fleming, a truly beautiful boutique, reopened in 2017 after a year-long renovation. 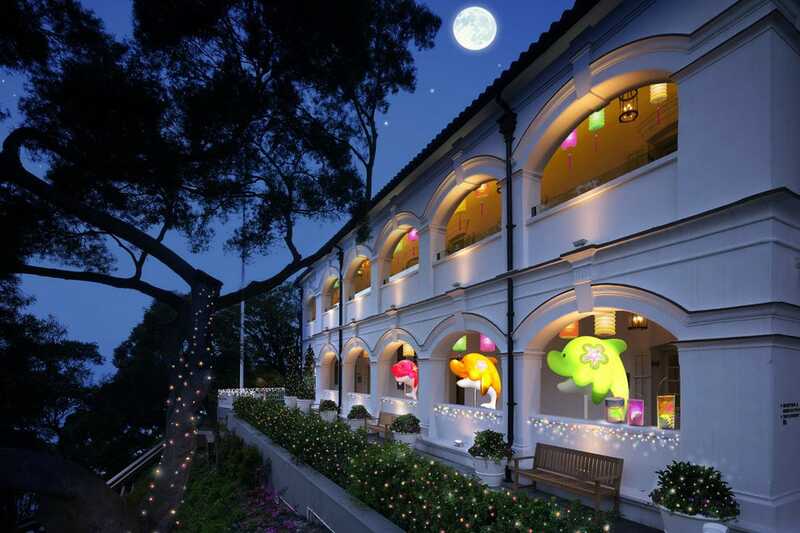 For history buffs, it has to be The Peninsula, the oldest property in the city, or maybe the Tai O Heritage Hotel, a former police station that's been given a new lease of life. 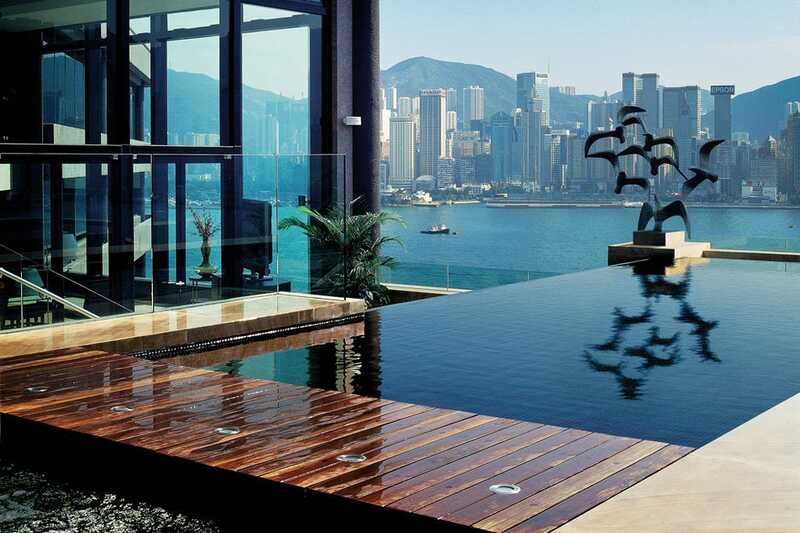 For harbor panoramas, somewhere like the InterContinental, whose outdoor jacuzzi has long been Hong Kong's ultimate "pool with a view", is the automatic choice. Wherever you decide to stay, it's precisely because Hong Kong is normally so frenetic that snuggling down in a romantic bolthole is so utterly delicious. Switch off the phone, the TV, and just about anything else that might intrude on the moment, and revel in the romance of Hong Kong, also known as the Fragrant Harbor. You will never realize this is a university-run hotel but for two things: the friendly rate (much cheaper than other five-stars) and the ever-lasting enthusiastic smiles from their staff. Situated in east part of Tsim Sha Tsui, the affiliation of Hong Kong Polytechnic University is designed by a combined force of Hong Kong's best creative minds. The state-of-art glass-walled lobby houses an impressive 18-meter-tall vertical garden draping from the second floor. All of the 262 rooms present textbook examples of what a modern and sleek hotel should look like. Among them, the Vivienne Tam Suite is a reproduction of the fashion designer's home in New York City. The 28-story building is a five-minute walk to Hung Hom Station, which is the terminal of cross-border trains from mainland China. The hotel runs free shuttle buses to and from Kowloon Station on Hong Kong Airport Express every 20 minutes. 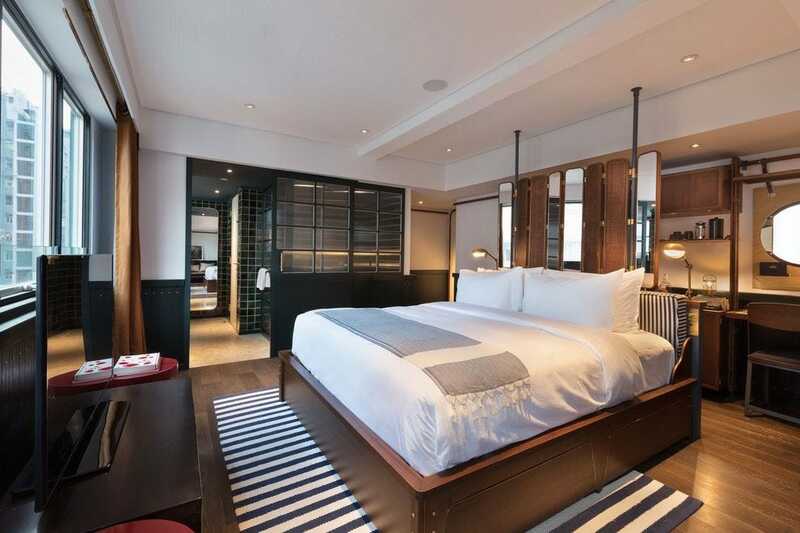 This luxury design hotel is located in the heart of Hong Kong Island. 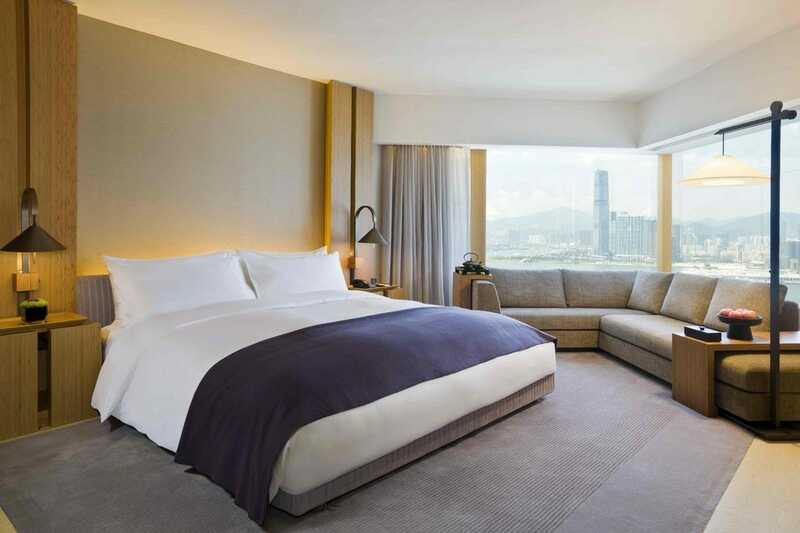 All 177 rooms come in extra-large sizes (by Hong Kong standard), rising from 67-square-meter studios up to a swish 182-square-meter Penthouse Suite with windows looking out to Victoria Harbour and Victoria Peak. Each bathroom includes a walk-in shower, a bathtub and a separate dressing area, which is a rarity in compact Hong Kong. Interior design is ace. Leading Hong Kong designer Andre Fu used nature-toned materials, such as oak and bamboo, to create a minimal and elegant space. Celebrity chef Gray Kunz mans the kitchen of the cafe and fusion restaurant, Cafe Gray Deluxe, on the 49th floor. The only downside is the hotel doesn't have a pool. The boutique hotel is a natural hideaway from the noisy, bright and heavily populated city center. Situated in a traditional fishing village at the west side of the Lantau Island, the nine-room lodging is backed by lush forest and overlooks the ocean. Nearby Tai O town offers a glimpse into the old-school Hong Kong living with vendors selling fresh-off-the-boat seafood. Erected more than a century ago, the building itself was the former Tai O Police Station in colonial times and is now a Grade II historic structure. The Chinese tiled roof, Victorian granite steps and large French windows have been restored to their former glory. The glass-roofed open-view restaurant, Tai O Lookout, serves local specialties such as shrimp paste and mountain begonia. 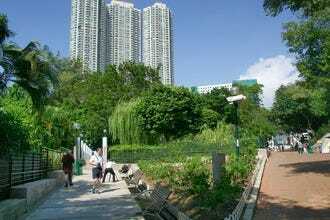 To reach the remote hotel, take the MTR to Tung Chung then change to bus No. 11; or board a ferry for the 60-minute ride from Tuen Mun Ferry Pier to Tai O. It's not really a manor, and it has a distinct take on luxe, but this hotel really is one of a kind. In the back streets of Tsim Sha Tsui, the decor falls into the weird and wonderful category, especially when it comes to the themed suites, where the interior designers have given their imaginations free rein. More surprises are in store. The restaurant is Scandinavian, and the lounge, called Dada, is a very definite tribute to Surrealism. As a romantic hotel, the Luxe Manor is very much somewhere to surprise and reignite the senses. There's certainly nowhere else like it in Hong Kong. On the rail line that leads up to the border, half way between the terminus in Kowloon and China proper, the Hyatt Regency Sha Tin overlooks Tolo Harbour. It's one of the most distinctive hotels in Hong Kong, allied to the nearby university, and highly popular with fans who flock to the horse races staged nearby from September to June. But at any time of year, the Hyatt (not to be confused with the two Hyatts downtown)is a romantic rendez vous par excellence. It's set apart from the city, imbued with a rural ambiance from the nearby hills and water, and beautifully quiet. The InterContinental Hong Kong is one of the most convenient Hong Kong accommodation options for leisure and business travelers. 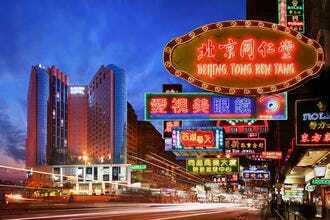 Located on the Kowloon waterfront, this hotel is 300 meters from Harbor City and Nathan Road. Guests are within easy reach of dining, shopping and entertainment venues. 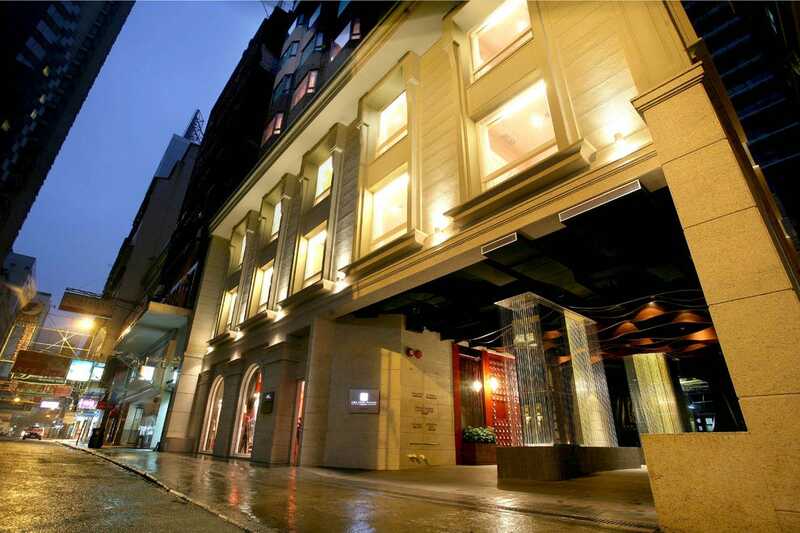 This hotel is located 100 meters from the MTR subway station. Hong Kong Chek Lap Kok International Airport is 22 miles from the InterContinental Hong Kong. Free parking is available for guests arriving by car. Each of the 495 guest rooms at the InterContinental Hong Kong is equipped with modern, luxury amenities and services, including LCD TVs, high speed Internet access and DVD/CD entertainment systems. Marble bathrooms with sunken tubs are available in all rooms. 24 hour room service and butler service are available. Half way between the Peninsula and the Star Ferry, Hullett House was once a police station. It's been renovated, given the five star treatment, and a fairly substantial shopping mall installed right below. But the real joy of this boutique hotel is that each of its rooms is decorated a little differently. That, and the gloriously wide and very private balconies which look down over city and harbor. There is plenty in the way of good food too, and the staff are well versed in looking after couples who have picked Hullet for an extra special break. This is somewhere to truly enjoy. 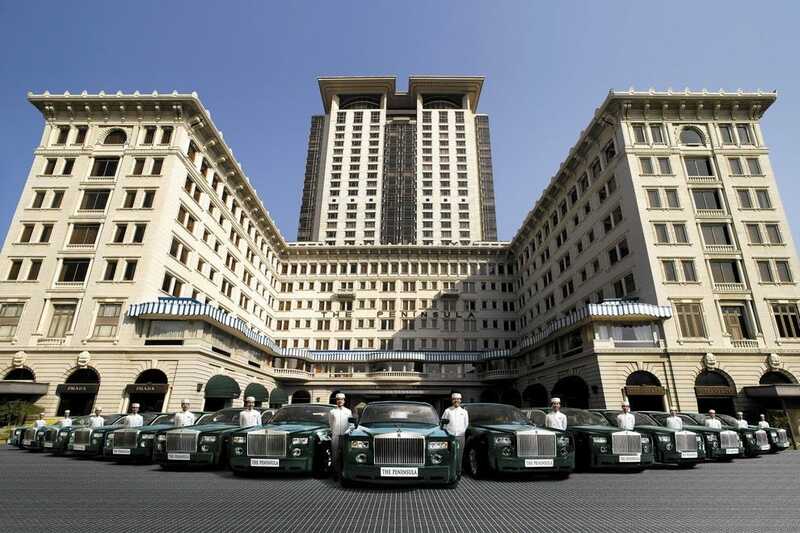 The Peninsula is the born-and-bred Hong Kong hotel symbol and one of the finest hospitality brands in Asia. First opened in 1928 and later revamped in 1994, the luxury property offers impeccable room and concierge services in the original building and the 30-story modern tower. Internet access and international calls are free. All 300 guestrooms have stylish Chinese-accented interiors and cutting-edge technology (think touch-screen room control). Afternoon tea in the 85-year-old neoclassic lobby is a quintessential Hong Kong experience. Fine-dining restaurant and bar Felix, on the 28th floor, directly faces the glittering, postcard-worthy Hong Kong Island skyline, but it doesn't admit children under 12. The majestic hotel is located in central Tsim Sha Tsui and is a stone's throw from the MTR subway station and Star Ferry Terminal. The Fleming is intimacy in a nutshell, if that's the right metaphor. Once known for its slightly wild night life, the district of Wan Chai has gradually smartened up its act, with cool restaurants and cute hotels taking over long-established office blocks. Want some romantic time together? 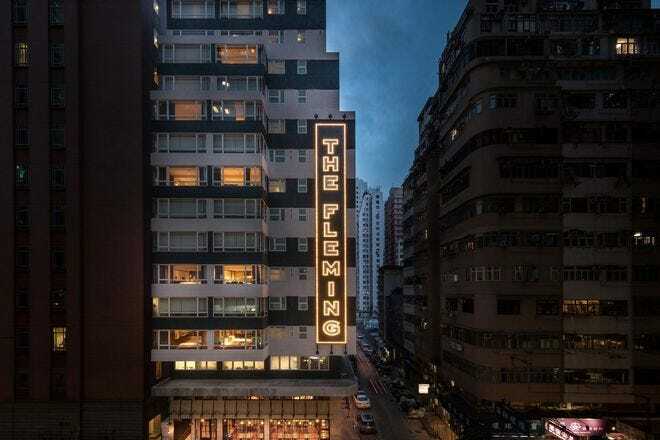 The Fleming is small but perfectly formed, with a design that cleverly echoes Hong Kong's maritime heritage. There are just 66 rooms, so all couples need to do is check in, ride the elevator, and then snuggle amid the luxury linens and goose down duvets. Hungry? Order up room service from Osteria Marzia, the hotel's only restaurant, as well as a bottle of fine wine. The intimate 113-room property has the ambiance of a boutique hotel but the facilities of a five-star. Basic rooms are spacious (42 square meters in size) and come with contemporary design. If budget allows, try for the more deluxe L600 room, which contains a seven-feet-wide round bathtub. The hotel's spa, Oriental Spa, is one of the best in the city and delivers varied programs including Turkish Hammam and Roman Laconium. 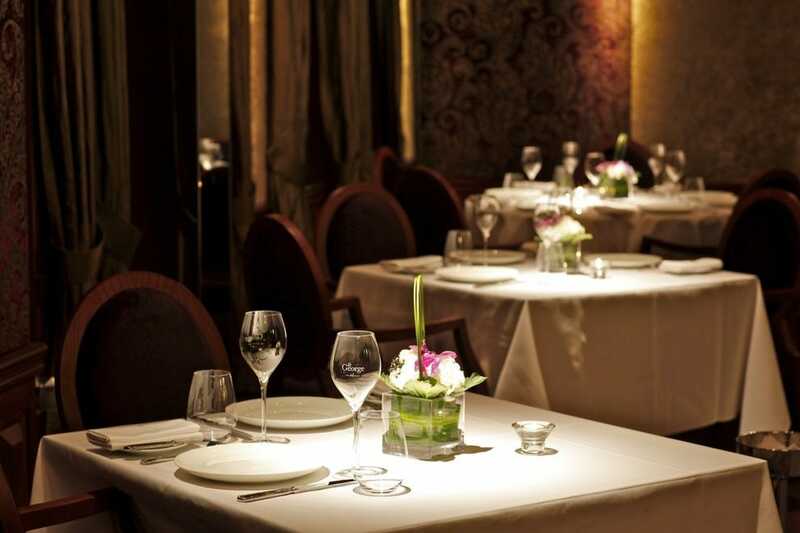 Michelin-starred restaurant Amber serves modern French cuisine. The chic hotel perches next to luxury shopping mall Landmark, where fashion houses like Louis Vuitton, Chanel and Dior vie for attention. Hong Kong's nightlife headquarters Lan Kwai Fong can be reached within 10 minutes' walk. The Hong Kong Airport Express is 350 meters to the north for travelers to check in flights, drop bags and whiz to the airport in 24 minutes.